Its coming up for Halloween and thats always a good excuse for a party. 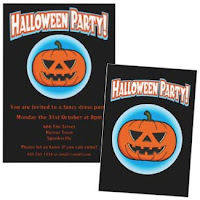 So if you are planning a huge one this year you're going to need invitations to spread the word. 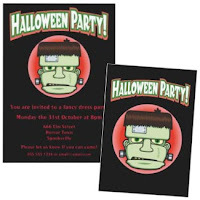 So what better way of getting everyone into the spirit of the season than these scary invitations. 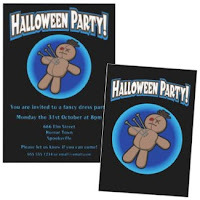 They all come with a character on the front and the back and all the text is fully customisable so that you can send exactly the message you want. Tell everyone what fancy dress they should be wearing or just tell them to get ready for the biggest Halloween party around, its up to you! 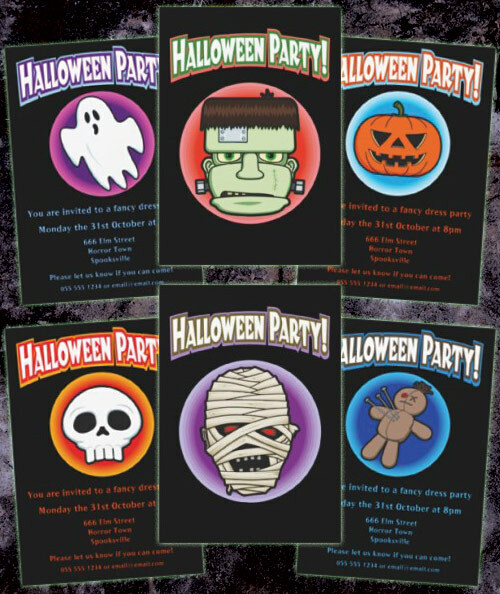 All these invitations are £1.45 each and you get a discount for ordering more than 25. You can even order different designs and still get the discount. Go to the product pages to change the price to your local currency. 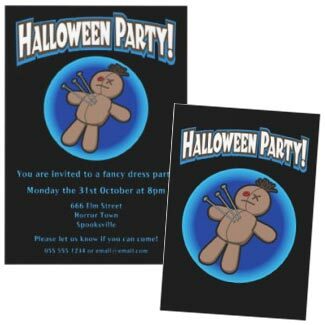 Update: Zazzle are currently running a promotion on invites! 25% off when you order 10 or more. Just use the code: 25OFFINVITES when you go to the checkout. As long as you are ordering through the UK, US, Canada, Australian or New Zealand sites. This off is available until 11.59 GMT on September 18th so make sure you get your order in before that. More information from Zazzle. 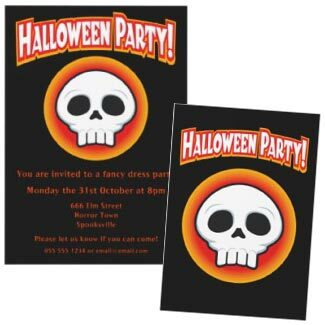 This funky skull is perfect for Halloween. Go to the product page to customise the text and make it perfect for you. There isn't anything more Halloween than a pumpkin. Go to the product page to personalise the text, just how you want it. Ghosts and spooks are another Halloween institution so make sure you get some of these in your selection. Change the words on the product page so that your guests get just the right message and send them off early to make sure they don't miss the party. Whether its a fancy dress suggestion or just a different theme for your party, this mummy makes a great Halloween party invite. Go to the product page to change the words exactly the way you want. The creature is another horror icon and you party is sure to have someone who wants to dress up like him. 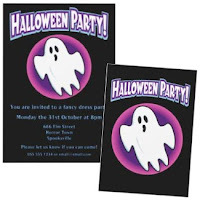 Make sure they get the hint with this invitation. Go to the product page and get the words just right for your guests. Halloween is all about dark magic and it doesn't get much more magical than voodoo. Get the words just right on the product page and your guests won't be able to resist coming to you party.